These are the only two shapes made with the Daisy Chain embossing. 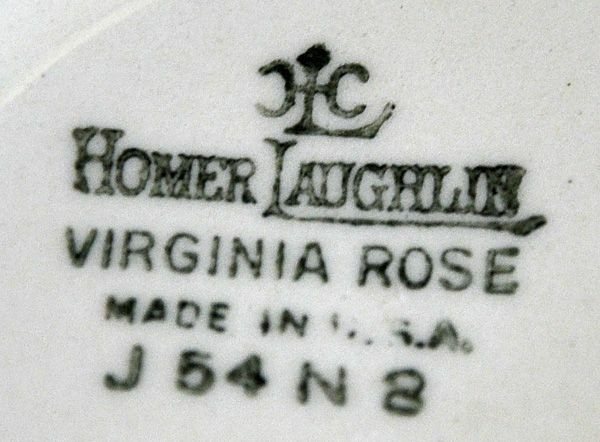 The pie plate is embossed under the rim. 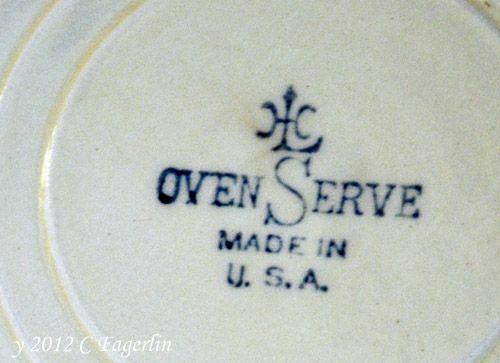 Designed in May-June1935, produced until the early 1940s, general HLC OvenServe backstamp. 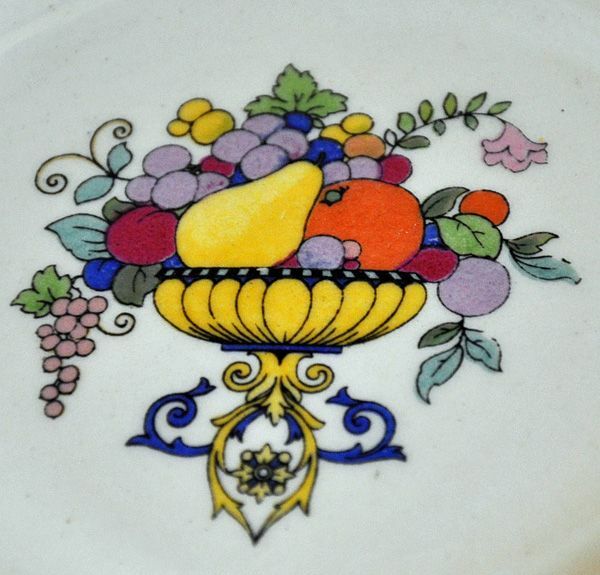 9 1/2” pie plate with Medley of Fruits decoration. 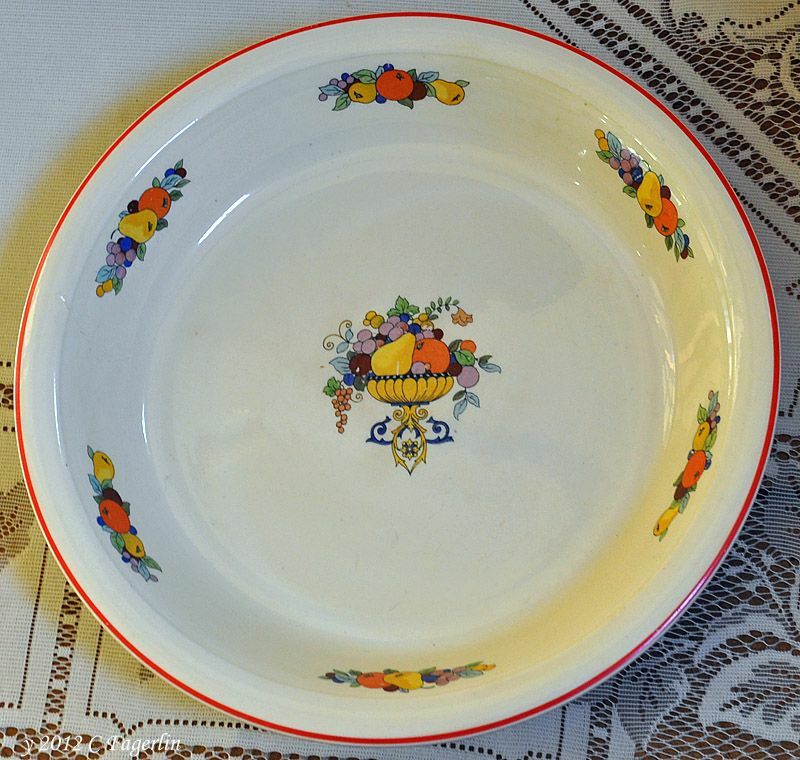 Medley of Fruits decoration can also be seen on this Virgnia Rose fruit bowl. Hi Candy! Oh, how pretty! I've never seen this pattern before - so sweet. Would you ever actually back a pie in this? I'd be afraid to. So many pretties you have. 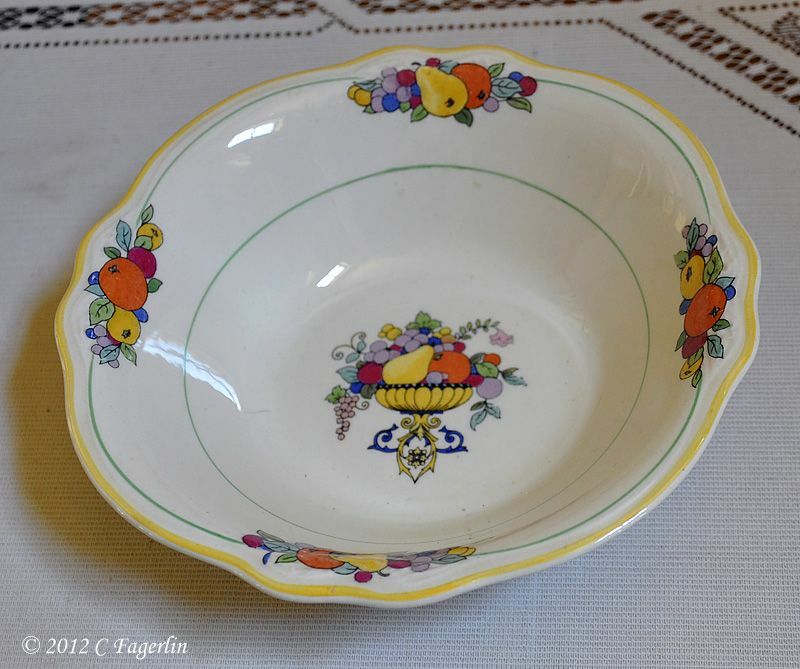 Oh, I would LOVE to have ANYTHING in the Medley of Fruits pattern!!!! I mean, ANYTHING!!! I'm in love! 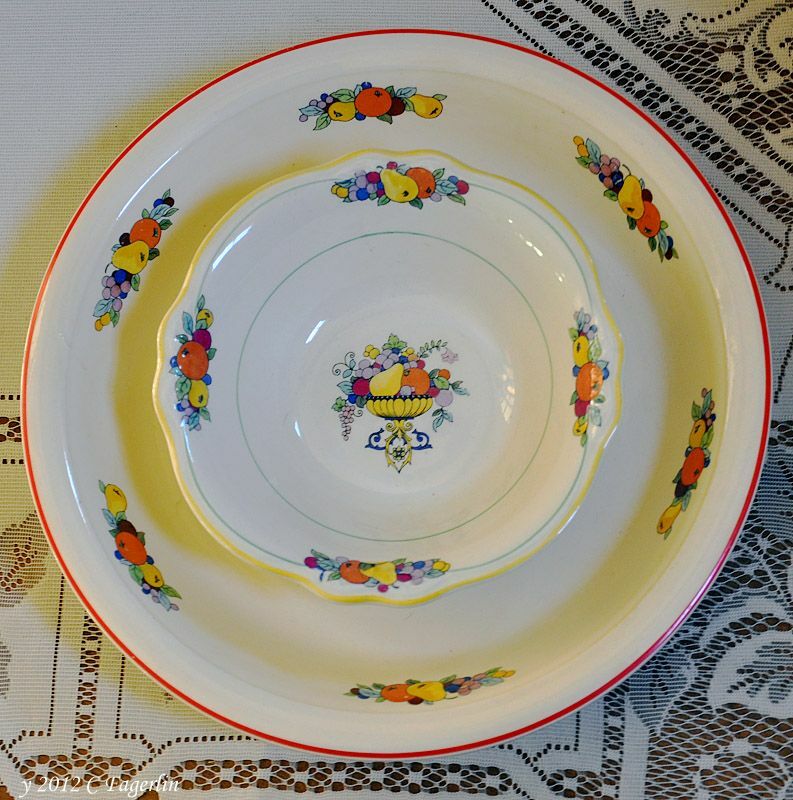 Please do a tablescape using your coleection of this pattern. Nice pattern Candy, don't think I have really seen it before. The Daisy Chain and VR shapes make a nice contrast. I had forgotten about that decal. I like it a lot!